Inner peace is best foundation of world peace. Founded as a publishing house in Milan in 1995, it is dedicated to publishing of books on spiritual research. 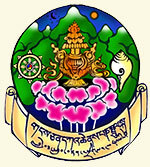 Since 2014 it is the editorial branch of Kunpen Lama Gangchen. 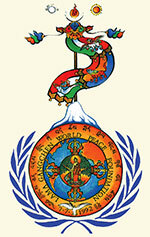 In particular, LGPP aims to preserve, publish and disseminate the NgalSo Tantric Self-Healing teachings and methods of T.Y.S. Lama Gangchen and the teachers of his lineage; his New Wisdom Vehicle practices in the fields of spirituality, self-healing and non-formal education to create inner peace and environmental care, and his methods to pacify the current ecological and cultural violence, as well as Tibetan Buddhist philosophy, with particular reference to the school of Lama Tsong Khapa and the NgalSo Ganden Nyengyu lineage.